City announces spring classes and a contest! Plus, Ham license training! We’ve also included some of their attached flyers as well (scroll down below the newsletter) as there are lots of details about upcoming preparedness classes and events. 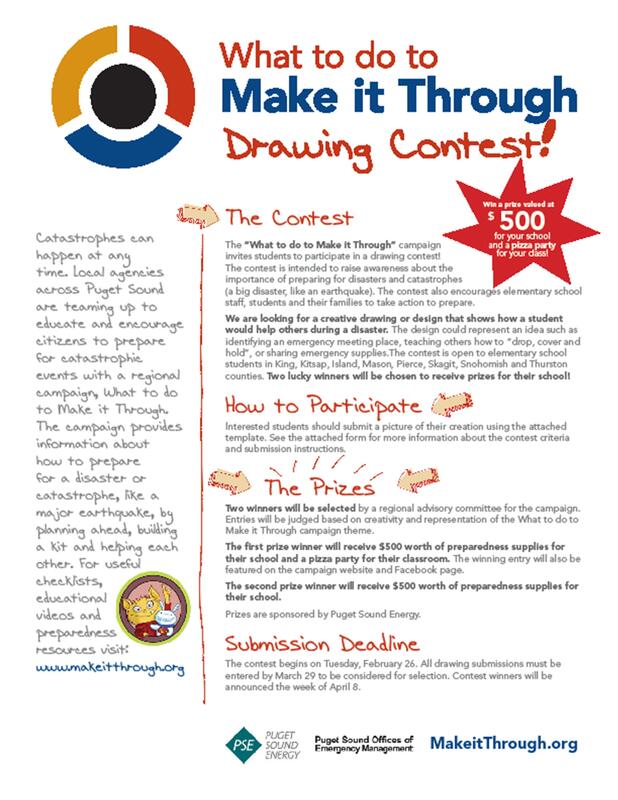 Attention Elementary School Educators: Win $500 in emergency supplies for your school – enter the “Make it Through” coloring contest, going on now through March 29 April 26th [the contest deadline has been extended]! 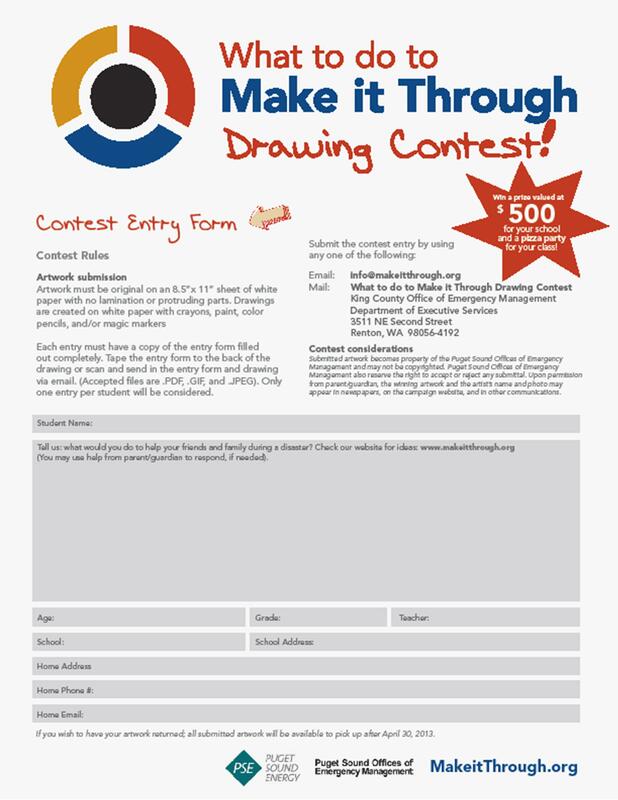 Contest flyer attached. 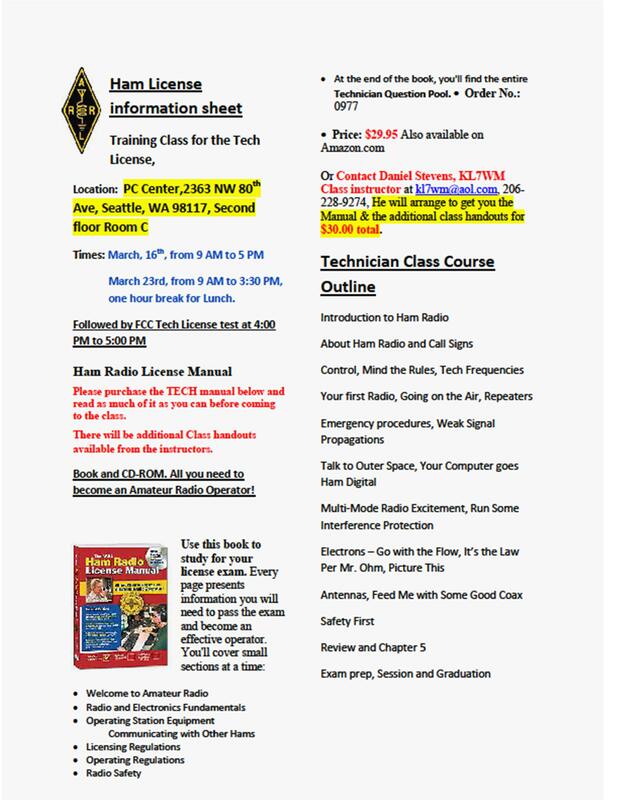 Amateur Radio Fans – register now for March 16 and March 23 training in Ballard. Earn your Tech License. Ballard is starting its own Amateur Radio Club and already has its Club Radio Studio. They will be mounting antennas on the roof of one of the Philadelphia Church buildings, and anticipate putting together a micro-repeater to serve as a neighborhood Hub site during emergencies. 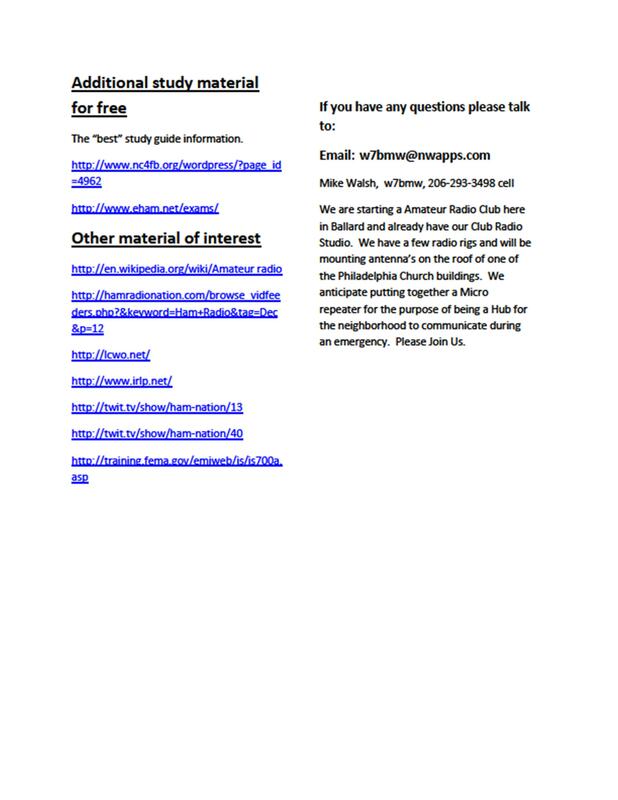 Email Mike Walsh at: w7bmw@nwapps.com or call 206-293-3498 to register. Flyer attached. Seattle OEM Spring Skills Classes Begin April 6! Registration now open for free Disaster First Aid, Light Search & Rescue and (new) Utility and Household Preparedness Classes. Flyer attached. To register: email: snap@seattle.gov or call 206-233-5076. Unless noted, classes are held on Saturdays at Magnuson Park, 7400 Sand Point Way NE, Bldg 406 (the Brig), 98115, from 9 am to 1 p.m. Space is limited. Registration required. Disaster First Aid – April 6 or May 4: Learn how to care for injuries after a major disaster when 9-1-1 is overwhelmed or unavailable. Learn principles of triage, how to conduct a patient assessment, basic treatment and how to recognize and treat life-threatening conditions. Class is free. Register through SNAP. Note: The Disaster First Aid class has changed from previous years and no longer provides First Aid Certification. We strongly recommend individuals obtain a basic first aid card prior to signing up for this class. Light Search & Rescue – April 27 or May 18: Hands-on class provides instruction on how to safely conduct search and rescue operations after a major disaster. Learn basic rescuer safety, search methods and markings, safe lifting techniques. Requires some physical activity. Class is free. Register through SNAP. Note: Due to economic and environmental reasons, the Fire Extinguisher & Utility Control class is no longer offered as live-fire training. It is now part of Utility Control and Household Preparedness taught in Seattle Public Libraries. See below for locations, dates and times. New for 2013! Utility and Household Preparedness – March 30 and April 27: Taught in partnership with Puget Sound Energy. Learn how and when to control utilities, use a fire extinguisher (demo only), store emergency water, reduce earthquake damage at home and create a supply kit using everyday household items. Classes are free. Register through SNAP. 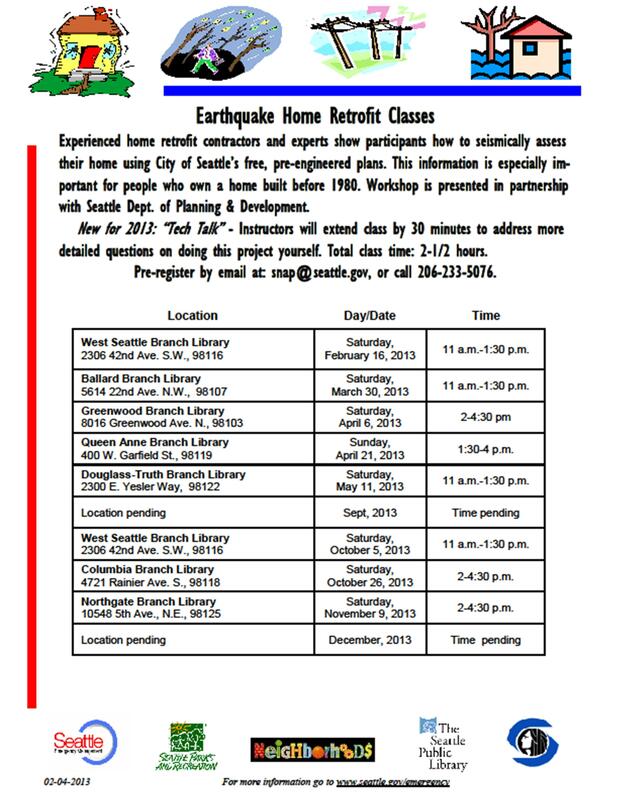 Earthquake Home Retrofit Classes – March 30, April 6 and April 21: New for 2013: 30-minute “Tech Talk” added to answer detailed “how to” questions. Total class time: 2 ½ hours. Experienced earthquake retrofit experts teach participants how to seismically assess their home using City of Seattle’s free, pre-engineered plans. Information is especially important for those who own a home built before 1980. Classes are free. Register through SNAP. 400 W. Garfield St., 98119. 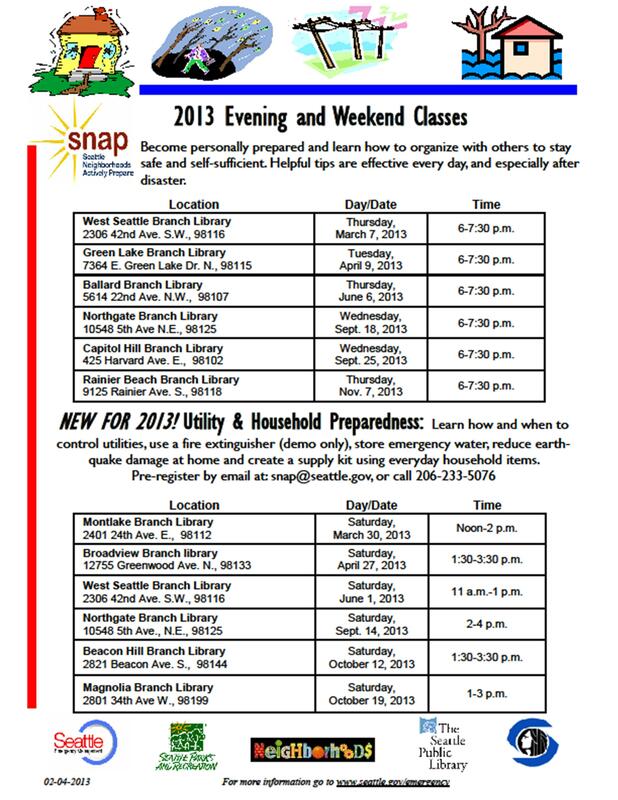 Spring SNAP Classes – March 7 and April 9: Become personally prepared and learn how to organize with others to stay safe and self-sufficient. Helpful tips are effective every day, and especially after disaster. Classes are free. No registration required. Class flyers attached below. For a complete schedule of Seattle Emergency Management classes, go to the Training and Events Calendar. April has historically been Disaster Preparedness Month in Washington. This year, “Make it Through” kicks it off with a multi-media campaign on TV, radio and social media. 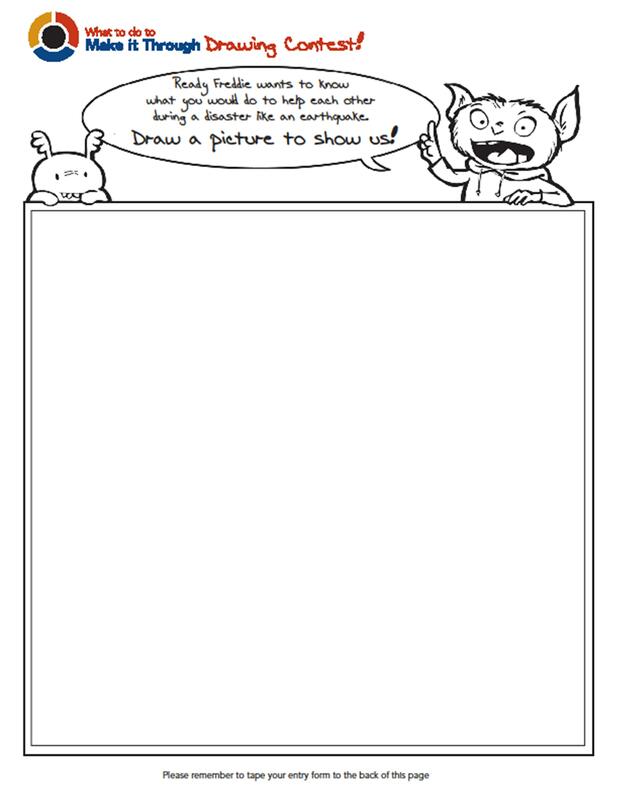 Go to: www.makeitthrough.org. Click the new “Kit on a Shoestring” video on YouTube. This entry was posted in Announcements, Events and tagged earthquake retrofit classes, free classes, ham license training, Seattle emergency preparedness, Seattle Office of Emergency Management, SNAP training. Bookmark the permalink.